GIVENCHY accepts the following payment methods for online purchases: Visa, Mastercard, American Express. An authorization application will be sent to your bank. Please note that your billing address must be identical to the one listed on your credit card statement. At present, we do not accept gift cards. All transactions made on the Givenchy.com site are highly secure. An SSL encryption system is in place to protect personal and payment data. 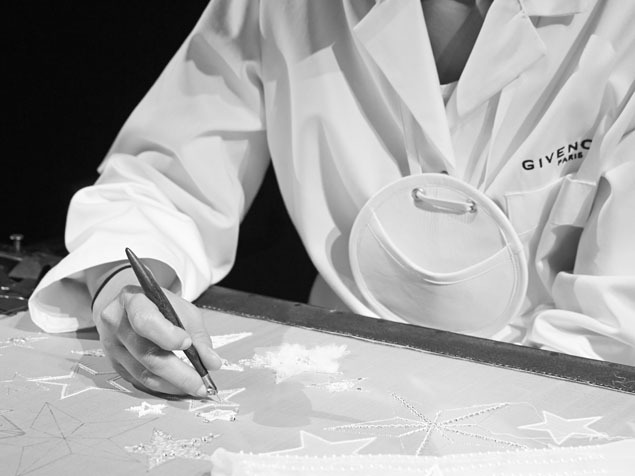 Givenchy agrees to not store your credit card details. In addition, we enforce the security of payments through the secure 3D system for Visa, Mastercard and American Express cards thus equipped. An additional step takes place upon payment, verifying the cardholder's identity and confirming the transaction. Each bank has its own authentication. For any questions regarding your 3D Secure code, please contact your bank directly. Our Customer Service may also conduct verifications and contact you before approving the transaction and confirming the order to collect more information in order to fight against fraud and guarantee your protection. All prices are inclusive of VAT. At present, we cannot offer you a VAT refund service for any purchases that may be eligible for tax refund.